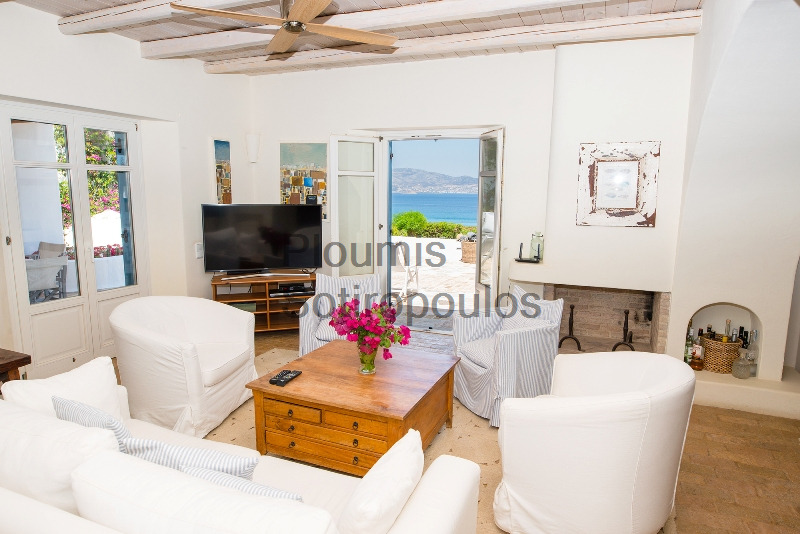 Only 100 meters from the most beautiful beach on the island, this home is the epitome of charm and warmth. 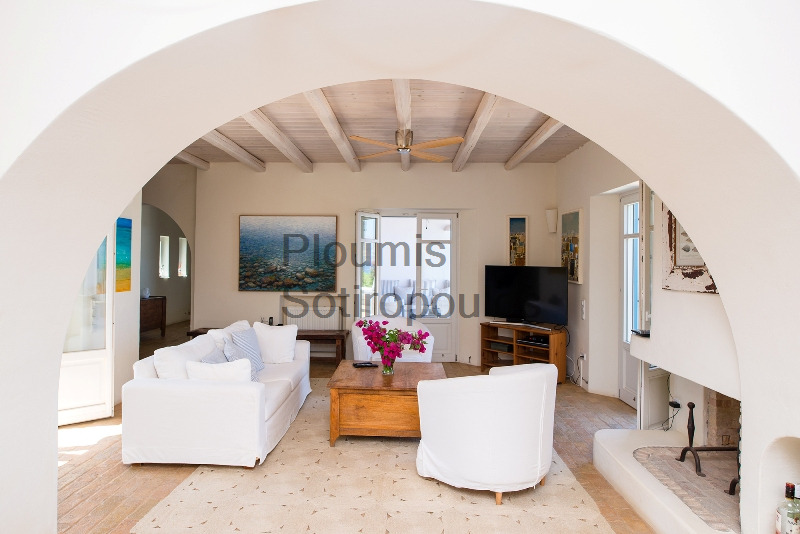 Its garden of 1.432m² has an abundance of colorful flowers and creates the perfect setting for the villa of 205m² built in 2004 and featuring a large living room with a fireplace, an open kitchen with dining area, two master bedrooms with bathrooms plus a third independent bedroom with a bathroom. The terraces surrounding the house are sheltered with pergolas and are ideal for alfresco dining and entertaining. 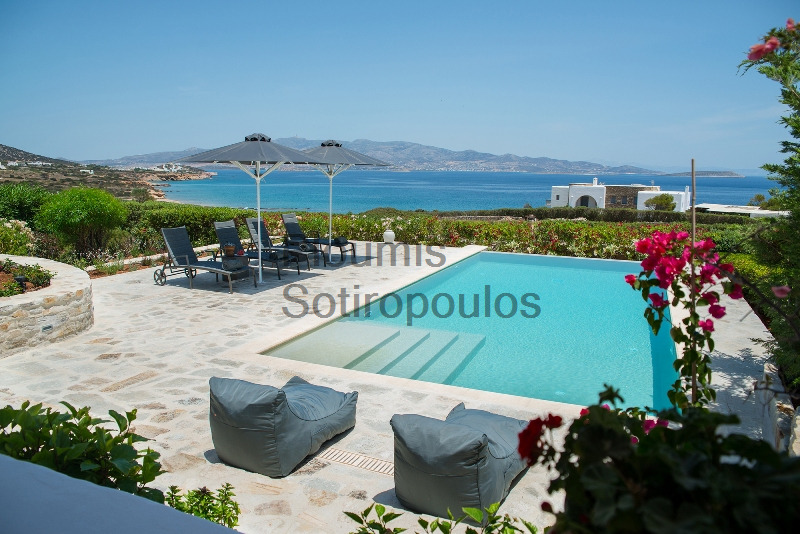 A lovely pool is the point of reference during the summer months. 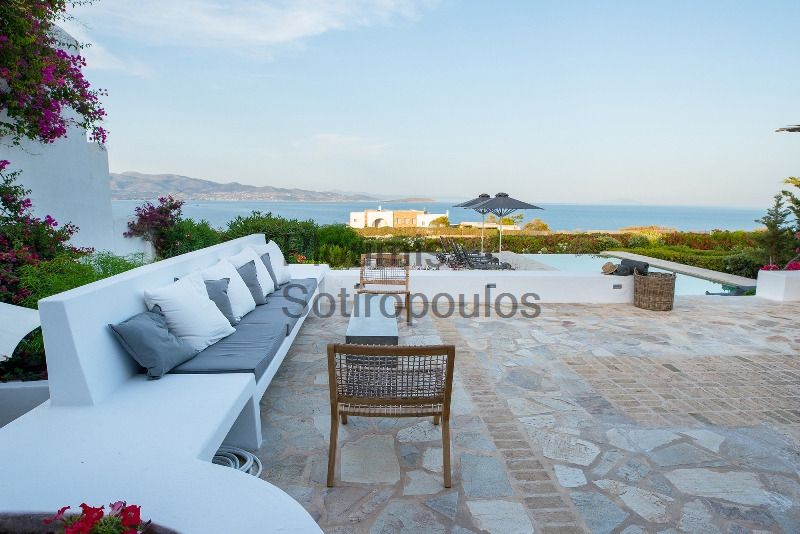 The lovely views to the beach, to Pateronisia and to Aliki are soothing to the eyes both day and night. Other features include wooden ceilings, stone floors, an outdoor barbeque, an outdoor shower, a generator with standby power, a desalination plant, satellite TV and internet, and carefully selected stylish furniture. 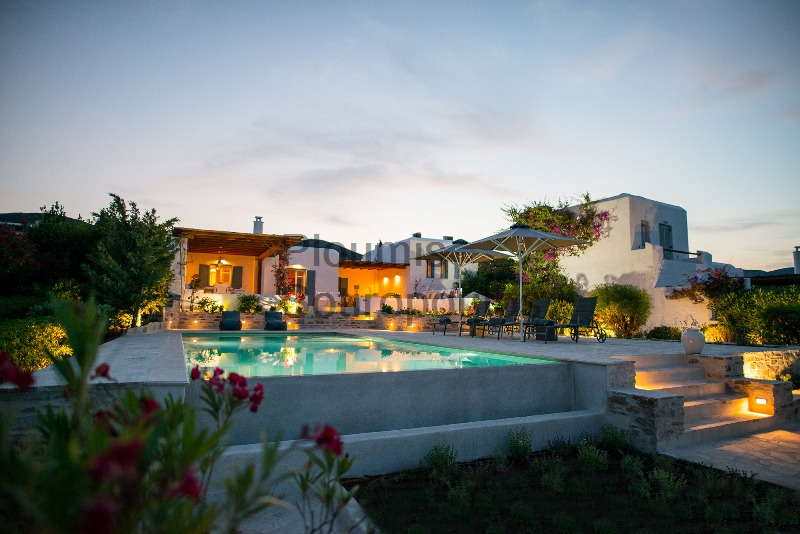 This home combines everything one dreams to own on a Greek island and more.